Rookie-driven box sets were all the rage in the 80s, often offering the first cards of future superstars. That's not so much the case today as there's new sets released every month that keep up with player debuts. 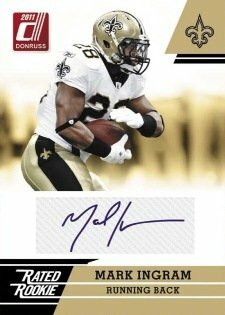 Nonetheless, 2011 Donruss Rated Rookies Football offers a cheap, simple and convenient way for football fans to keep up with this year's deep rookie crop. Packaged as a 100-card base set, there's plenty of space for all of 2011's impact rookies with lots of room left over for some sleepers. Each set also comes with an autographed card that further adds to the set's value-driven sensibilities. 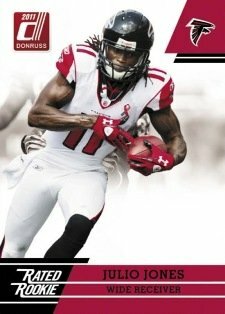 100-card base set encompasses all the rookies that made any sort of impact this season. Each set comes packaged with an autographed card. 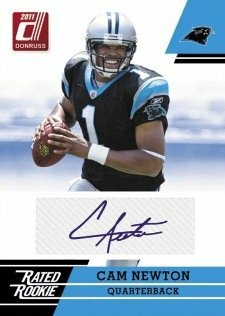 Early signers on the checklist include Cam Newton, Mark Ingram and Blaine Gabbert. 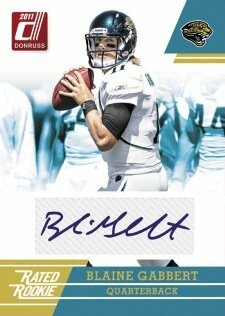 Offers strong value for collectors on a tight budget or casual collectors who might just want to have some rookie cards of key players. 2011 Topps Rising Rookies Factory Sealed Football HOBBY BOX Cam, Julio AUTO RC? 2011 Topps Rising Rookies Football Hobby Box Factory Sealed Cam Newton RC? Wish this set had come to fruition. 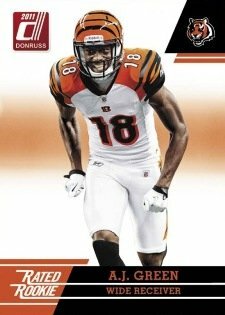 Of course, they would’ve done the same thing by making only 25 copies of 75% of the guys in the set, and a billion copies of the other 25 crap players.